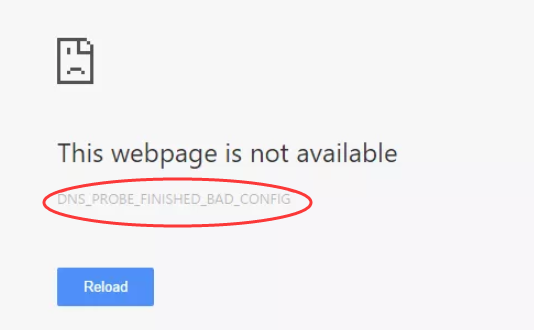 If you see the message “DNS_PROBE_FINISHED_BAD_CONFIG” while you’re trying to connect to the internet, it means there’s a DNS related error that is hindering you from connecting to the internet. If the DNS server is not responding or the internet connection not working fine, the error is likely to occur. 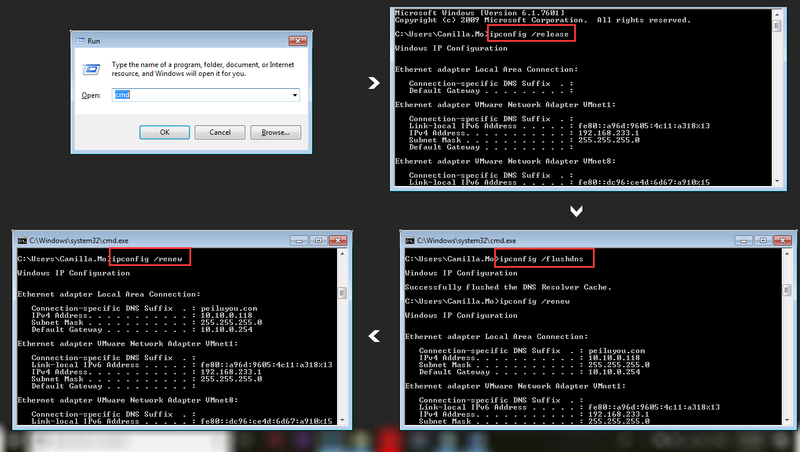 Before you try any complex methods to fix “DNS_PROBE_FINISHED_BAD_CONFIG” issue, just restart the router once. It might solve the problem immediately without much work to put in. If the problem persists, head towards the methods to get this fixed. View by Small icons and click Network and Sharing Center. 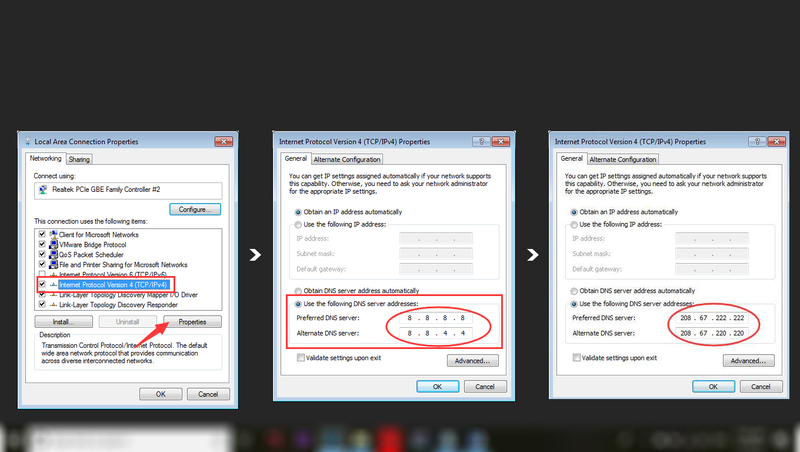 Right-click the network that is facing the problem and select Properties. In Networking tab, highlight item Internet Protocol Version 4 (TCP/IPv4) and click the Properties button. 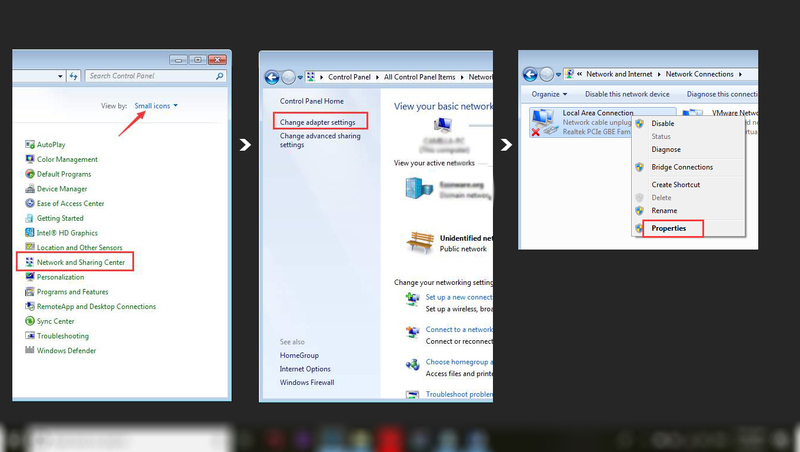 Under “Use the following DNS server addresses”, set the DNS server to another available server. The recommended DNS server is Google’s public server:8.8.8.8and 8.8.4.4. You can set Preferred DNS server as 8.8.8.8 and set Alternate DNS server as 8.8.4.4. Then click the OK button. Check to see if the problem is resolved.If you are still unable to access the internet, try to use below DNS server addresses and see if it works. Press Windows + R keys to launch the run box. Type cmd and click the OK to open Command Prompt. Type “ipconfig /release”and press the Enter. Then type “ipconfig /flushdns” and press the Enter. Then type “ipconfig /renew” and press the Enter.